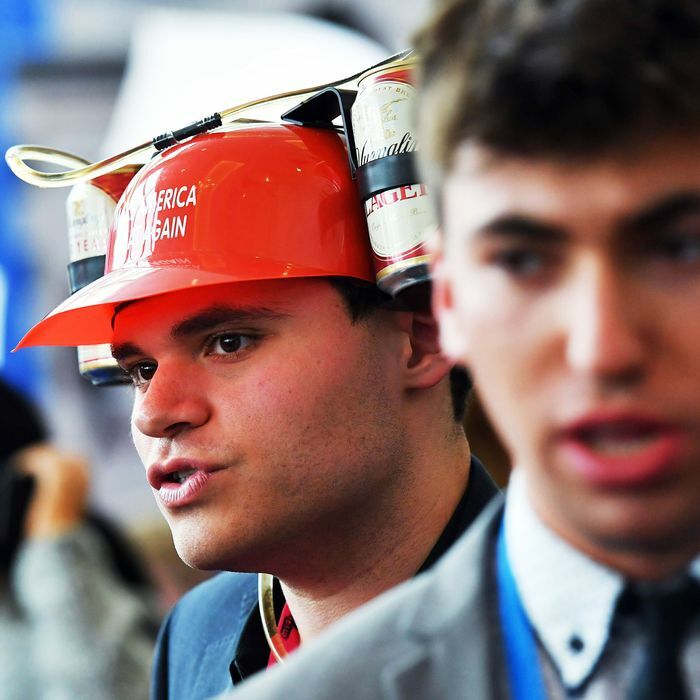 For a long time, young Republicans have been usually thought of as conservative shock troops, more ideological than their elders. They were very important to Barry Goldwater’s insurgent presidential campaign in 1964. They were also prominent in Ronald Reagan’s political rise; he won the youth vote by 20 points in 1984. Even today, as their peers increasingly lean toward progressive political alignment, loudly ideological young people like Ben Shapiro, Charlie Kirk, Candace Owens, and Milo Yiannopoulos are cult figures with large followings, and you might get the impression that all young Republicans are engaged full-time in culture-war theater on college campuses. Perhaps they do represent a noisy faction of the next generation of right-wing politics. But the numbers indicate that the near-extinct phenomenon of moderate-to-liberal Republicanism is making a comeback in Generation Z (or “post-millennials,” usually defined as those born after the mid-1990s). These trends suggest that the long march of conservatives to conquer the Republican Party, one of the most successful and important political developments of the last half-century, could be finally be coming to an end. And if you add in the strongly pro-Democratic tilt of the millennial and post-millennial generations, it’s another indication that the future political viability of conservatism is likely to be reduced unless that creed finds a way to expand its appeal.